mac-group is a business that is determined to give back to the community and the schools that provided the platform for its own accomplishments so far. 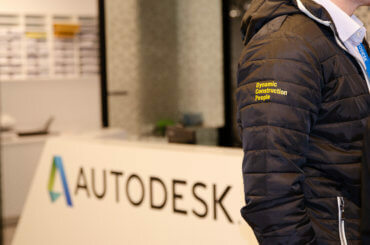 Having established its own Earn and Learn Academy this year mac offers prospects for talented students to avail of opportunities such as a bursary scheme, work experience, apprenticeships, industrial placements and sponsored part-time study. 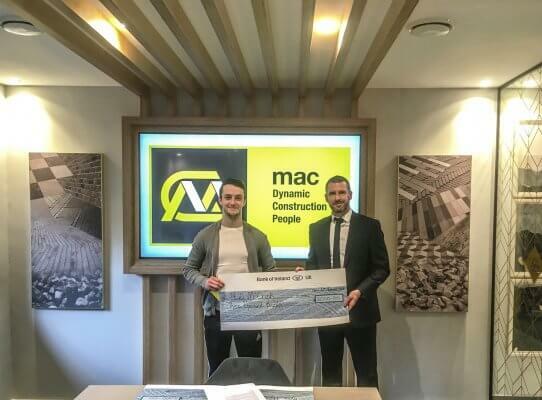 Paul McKenna, Founder and Group CEO of mac-group is a former pupil of St Patricks’ High School, Keady and was delighted to award two local students with a £3,000 bursary each on behalf of mac-group. 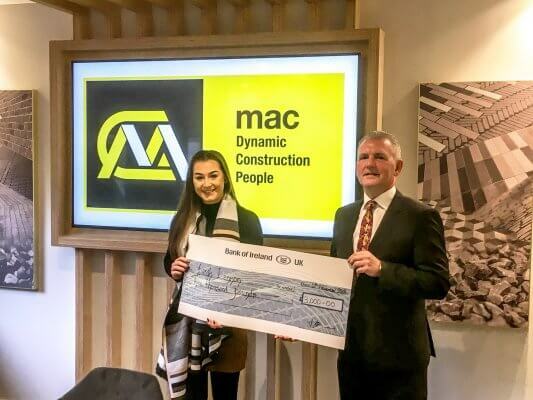 Studying construction-related degrees these students will not only be financially supported by mac-group each year of their course but are also guaranteed a rich understanding of the construction industry through industrial placement.